Bouquet of 10 Mix color Gerberas. 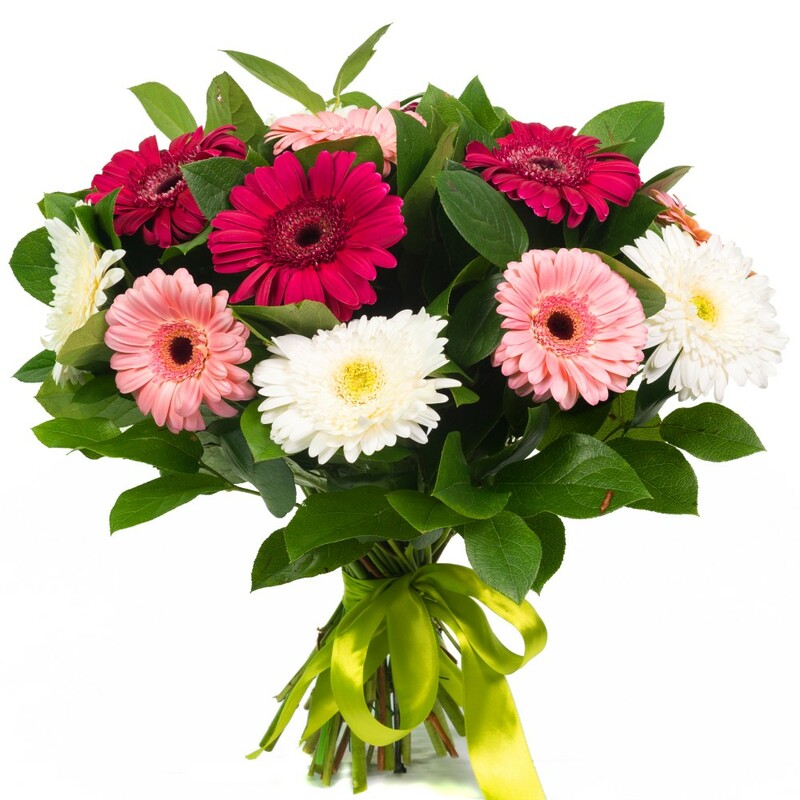 Walk through a colorful wonderland, a visual tapestry of bright blooms punctuated by delicate, all beautifully presented by Ten colored Gerberas with green foliage. An absolutely delightful gift for flower fans of all ages. 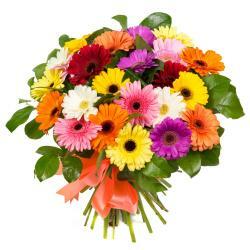 Bouquet is a wonderful way to celebrate any of the lifes special moments. Send this on different occasions like birthday, anniversary, missing you, wedding, get well soon, valentines day, mothers day, rakshabandhan return gift, to congratulate, Diwali gift, Holi gift, Christmas and many more. 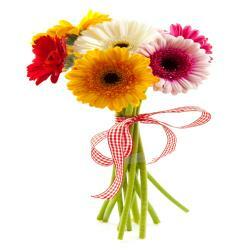 Giftacrossindia.com brings you this colored gerberas bouquet at very best price, so place your order at www. 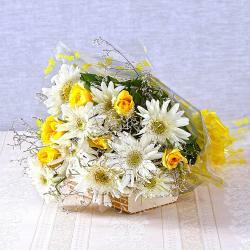 Giftacrossindia.com and get deliver this bouquet to your loved one. 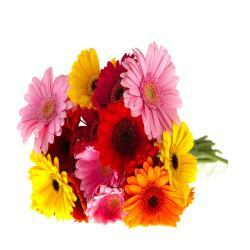 Product Details : Bouquet of 10 Mix color Gerberas.